We are fortunate to have many different kinds of early childhood schools in New York City. But when investigating these schools in order to choose one for your child, you may find the many educational approaches and philosophies that describe them a bit dizzying. One school calls its program progressive, another is Montessori; one school might say its curriculum is play-based, with a Bank Street approach; other schools prefer not to be classified as following any one influence. You will see that there is a lot of overlap in methods among the different schools. But regardless of the methods, the schools make sure that their students are prepared with the academic and social skills needed to transition successfully into kindergarten programs. When you visit the schools, their different educational approaches may manifest themselves in the choice of furniture used in the room, the way a room is arranged, the materials made available for the children to choose from, the art materials that are used, the type of art activities that are taught, and how the children’s day is organized. Traditional preschools may seem familiar to you if this was your own experience growing up. The administration and teachers may plot out in advance the entire year’s curriculum, with weekly or monthly themes of study; planned activities would support these themes. They may use worksheets for early academic training. There may be an alphabet hung on the wall. Some traditional preschools ask children to wear a uniform. Often teachers are called by their last names. Progressive schools typically demonstrate that children learn through experiences with each other, with teachers and with materials. The importance of the life of the child within a group is stressed because progressive schools believe that society is continuously changing and children need the skills of living in a group to work well with others. The curriculum will focus on social studies, learning about one’s classroom, school and neighborhood. Children might walk around the block making observations, perhaps visiting the grocery store or the firehouse. They visit the different parts of their school, interviewing different staff members. The children continue their explorations in the classroom, by drawing maps or graphing the different modes of transportation they take to get to school and by reading books about neighborhoods and what different people do. Often they have the opportunity to replicate their school or neighborhood in the block area, a long-term project that can be very detailed. Maria Montessori was Italy’s first woman doctor. She worked with children who were developmentally delayed and learned about childhood education in order to be able to better help them. Some of her ideas are now typical in many early childhood schools: for example, you will see child-sized furniture, materials that children can access on their own, an understanding that children thrive in an organized environment, individualized instruction to support all kinds of learners, and active participation by children in their own learning. Dr. Montessori developed self-correcting materials that children could use without asking for a teacher’s help in figuring out whether they had used them correctly. Traditionally, materials are used in teacher-directed ways and children are able to choose them from open shelves. There are different kinds of Montessori schools, which adhere to a greater or lesser degree to Montessori principles, or interpret them in different ways. Many Montessori schools have mixed-age classrooms. Children often work independently with Montessori-designed materials. The Bank Street or developmental-interaction approach is not a “how-to-do-it,” but rather a “think-about-this” philosophy of education. There is a basic belief that children want to understand the world and how it works. Social studies—the study of people and places around the school, the neighborhood, and the wider world—is generally the core curriculum. 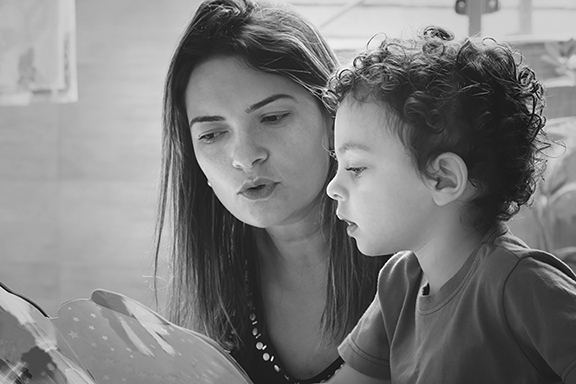 The name “developmental-interaction” describes the approach: teachers consider each child’s development and growth and strive to create an environment that is responsive to where she is intellectually, socially, emotionally and physically. Interaction has to do with both the interaction within the child of her emotions and intelligence and the interaction that she has with the children, teachers, materials and ideas she is exposed to in the carefully designed classroom and school. Reggio Emilia is a small town in northern Italy. Twenty-one years ago, Newsweek labeled the early childhood schools in Reggio Emilia as the “best in the world.” Since then their ideas have been disseminated throughout the world through teacher study tours to Reggio, Reggio teachers visiting other schools to share their knowledge, and many publications. Many American teachers and academics have been to Reggio Emilia and have brought the ideas back to the United States. Central to the Reggio approach is that children are seen as competent: their ideas and questions are worthy of being used as a basis for curriculum design. The environment of the school and classroom is seen as “the third teacher,” as children learn so much from where and with whom they spend their time in school. Teachers and children often reflect on their work, separately and together, and there is a lot of documentation of the processes of the work. Often Reggio-influenced schools will have an atelier or art studio to support the children’s and teachers’ work. The collaboration of teachers, children, parents and the community is essential to the approach. Teachers and children in classrooms where the project approach is used investigate topics that the children find important. There are three parts to a project (Katz and Chard, 1989): discussion about the idea; the actual project process—field trips, more discussions, creating models, and finding expressive ways to share information (writing a play, dictating stories, painting, sculpting); and a concluding activity where the children share what they have learned with other classes, parents or other interested people. The concluding activity could be a play, creating a museum in the classroom, or writing a book about the topic. Through the concluding activity the children evaluate their project and think about their next exploration. Projects can cover a broad range from fire trucks, pizza, turtles or even space exploration. Academics and skills work are embedded in the project work. Emergent curriculum also considers children’s interests and incorporates teacher goals within the work. As implied in the name, the curriculum arises from what is happening in the world around the school and in the children’s lives: the class chooses a new pet and then studies it, it snows, the building next door is torn down and a new one erected—all can be fodder for a rich curriculum. With the children’s questions the teachers create curriculum that encompasses the topic along with skills work. For example, a snowy day might lead to discussions about snow and ice. Books would be used to investigate their properties. That might lead to experimentation: leaving water in containers outdoors and timing how long it takes to freeze through; bringing snow into the classroom and timing how long it takes to melt compared to ice; then discussing the differences in the timing. Reading storybooks about snow and, of course, having the opportunity to play in it would be an important part of the exploration. Children’s snow experience poems might be made into a class book. Throughout, math, science and literacy would all be part of the snow curriculum. Many schools have play-based curricula where children’s play is seen as both a vehicle for learning and an important aspect of children’s lives. Often schools that refer to themselves as play-based also incorporate the project approach, emergent curriculum, Reggio or Bank Street approach—or all of these. All classrooms are teacher-directed at some or many points in the day. Group meeting time, story time, snack, lunch and washing up are all examples of teacher-directed times. Many schools plan the children’s day to have a rhythm of times when children make choices balanced with times when the adults make decisions. For example, the group’s day starts on the playground where children make many choices about what and with whom to play. They come inside for meeting led by a teacher, then move to work time in which they choose from options that the teachers have put out for them. Importantly, very young children in early childhood programs are learning to make choices and decisions. The ability to make choices in school—“Where shall I play?” “Who shall I play with?” or “What shall I eat for snack? "—is part of that learning process. As you visit schools, you will see that many schools, even those that ascribe to different influences, share similar methods in their classrooms. And schools that claim to follow the same teaching philosophy may use different methods to reach the same end. For example, while most schools will talk about supporting independence in young children, how that goal is enacted may look different. Do all the children have snack together or do they come to a “snack bar” set up so that they can work for a long stretch and then help themselves? Can they choose how much they may eat of what is offered? Be assured that, no matter their labels—progressive, traditional or Montessori-influenced—all early childhood schools provide structured environments in which learning is fostered. Before you start the process you and your partner or spouse should look at preschool websites and have conversations about what you are looking for in a school for your child and your family. The most important thing you can do is register your inner reactions when visiting the schools. How do you respond to what you see and what the person taking you on the tour says about the school? Do you see the school as a place in which your child could flourish? Would you be comfortable as a parent at the school? Your child will take her cue from you. If you are positive about her school and believe it’s the right place for her, she will believe it, too. Katz, Lillian G., and Chard, Sylvia C., Engaging Children's Minds: The Project Approach. Norwood, NJ: Ablex, 1989. Marjorie Goldsmith, Ed.D., is the Former Director of All Souls School in New York City. This article first appeared in the 2013 Edition of Parents League Review. ©2018 Parents League of New York. Get the current edition of the Parents League Review free here with a family membership. Or purchase it directly here.